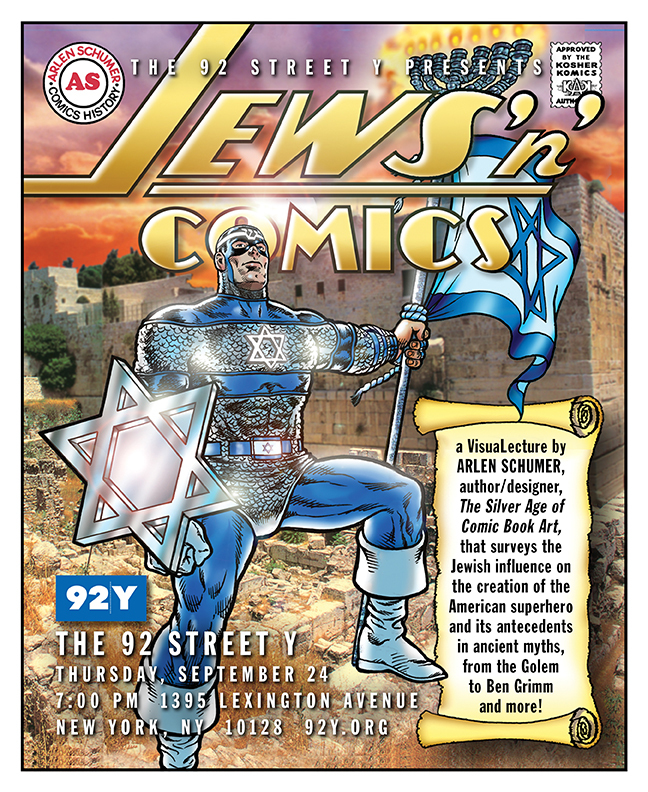 The Jewish High Holy Days are upon us, so we’ve invited Arlen Schumer — whose lecture Jews ‘N’ Comics is 9/24 in NYC (more details here and here) — to discuss the people who formed the backbone of the American comic book. Part 1. From Gaines to Siegel and Shuster. Click here. Part 2. From Kane & Finger to Will Eisner. Click here. Bill Gaines was the publisher, and Al Feldstein the editor, of EC Comics, a legendary but short-lived publisher (circa 1950-55) of some of the greatest science-fiction, crime, war, humor and horror comics ever created, that featured artwork by some of the greatest comic-book illustrators to grace the field, and is considered a high-water mark for the medium. The stories that Gaines and Feldstein co-wrote were not the typical comic-book fare of the previous decade. 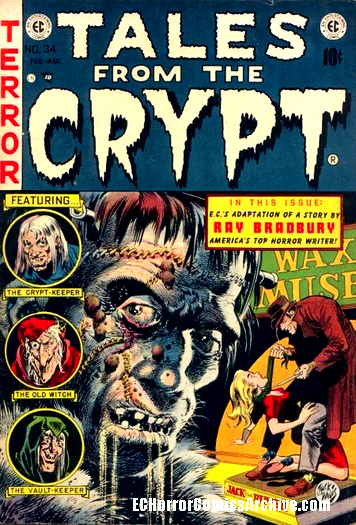 Coming of age in the same postwar era that began to examine the darker underbelly of American society, producing new cinematic genres like film noir, Gaines and Feldstein’s eight-page stories (four to an issue) took a similar darker and more adult turn: EC’s horror comics were more horrible than any before (or since). Their war comics were anti-war comics. Their science-fiction stories had ironic endings that predated The Twilight Zone’s. And their crime and suspense titles featured stories steeped in social and moral issues that had never before been tackled in comics (or most of the larger popular culture) — bigotry, racism and anti-Semitism — which reflected the traditional social and moral aspects of the Judaism of Gaines’ and Feldstein’s upbringing. These were the seeds that would grow into both the underground and overground comics revolutions of the 1960s. Harvey Kurtzman (1924-1993), born to Jewish immigrants from Ukraine, wore many hats during his illustrious comics career: writer, artist, cartoonist, editor, art director—and wore all of them at the same time in 1952 when, as editor/writer for Gaines’ EC Comics, he created the first American humor vehicle that spoofed, lampooned, satirized and criticized American culture in the post-World War II era: Mad. His humor was inherited from the Jewish vaudeville and Yiddish theater that preceded him, but Kurtzman turned his jaundiced eye toward the postwar American institutions around him that were slouching into the Eisenhower ‘50s. 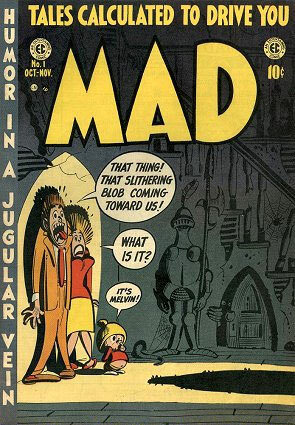 Through Mad, Kurtzman introduced an entire generation—what would become the ’60s Generation—to Jewish humor and satire, teaching them to question authority while learning Yiddishisms like gonif, and influencing modern American humorists and comedians from Lenny Bruce to Woody Allen to Robert Crumb. Mad begat underground comics, which begat National Lampoon, which begat Saturday Night Live. That’s all of modern American comedy, all made possible by Harvey Kurtzman, mensch. 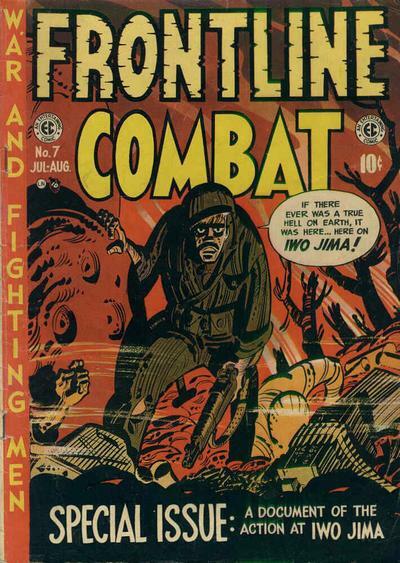 Kurtzman was also responsible for the medium’s first anti-war comics when he edited and wrote EC’s war titles Frontline Combat and Two-Fisted Tales, laying out all of the stories and art-directing the illustrators he worked with. Many of the twin titles’ most memorable stories were illustrated by Kurtzman himself, remarkably reconciling his flamboyantly cartoony art style with the grim, raw realism of his fatalistic war tales. Without the combined efforts of DC Comics editors Julius Schwartz and Mort Weisigner, and Editorial Director/Executive Vice President Irwin Donenfeld (son of founder Harry)—all sons of Jewish immigrants — the Silver Age of comics would never have happened. Schwartz and Weisinger were both from the Bronx, and shared a love of science-fiction when they met at the first SF fan club “The Scienceers” in 1930, and then began together an agent’s service for science-fiction writers, the Solar Sales Service. By the turn of the decade, they were both editing comic books for DC, with Weisinger starting right on the Superman titles in 1940. 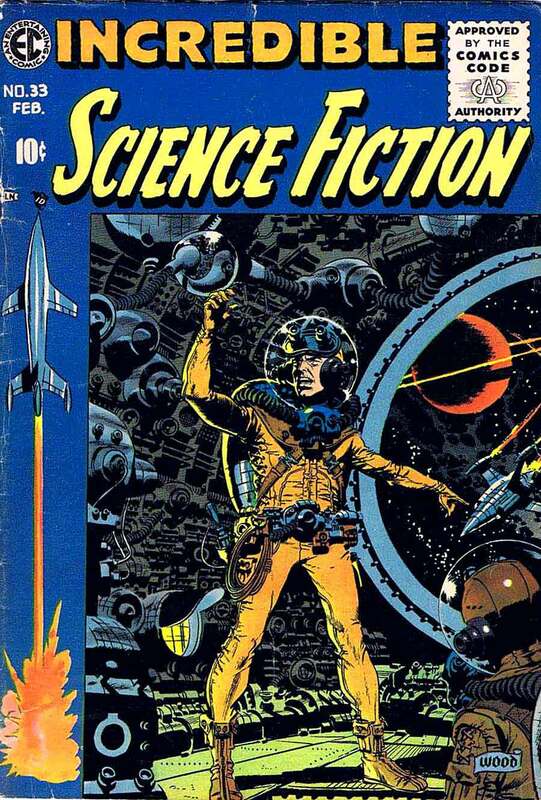 All of that sci-fi background was the foundation upon which the Silver Age was built. 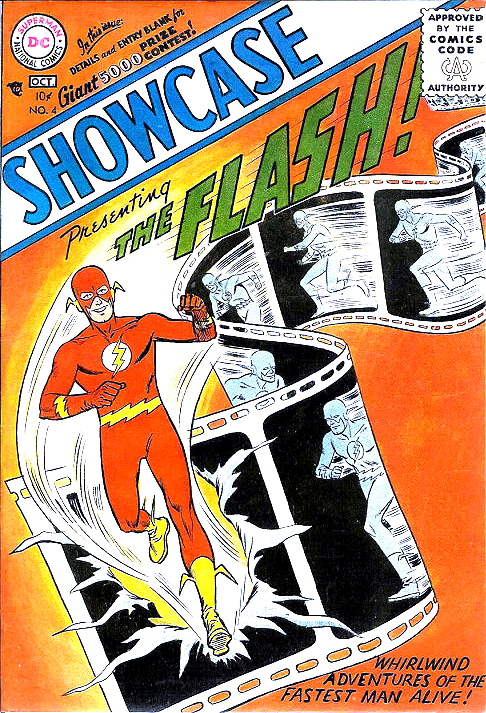 Schwartz was entrusted with birthing the new version of their Golden Age super-speedster the Flash in 1956, and gave the character a science-based origin and approach. 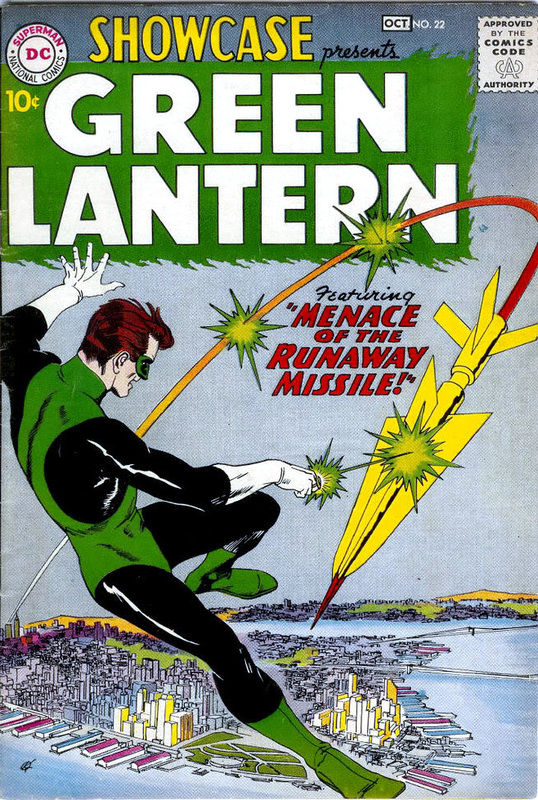 The Flash’s success led to other Golden Age DC superheroes—Green Lantern, Atom and Hawkman—getting the sci-fi treatment via Schwartz and his stable of science-fiction writers and artists. The Silver Age was off and running! 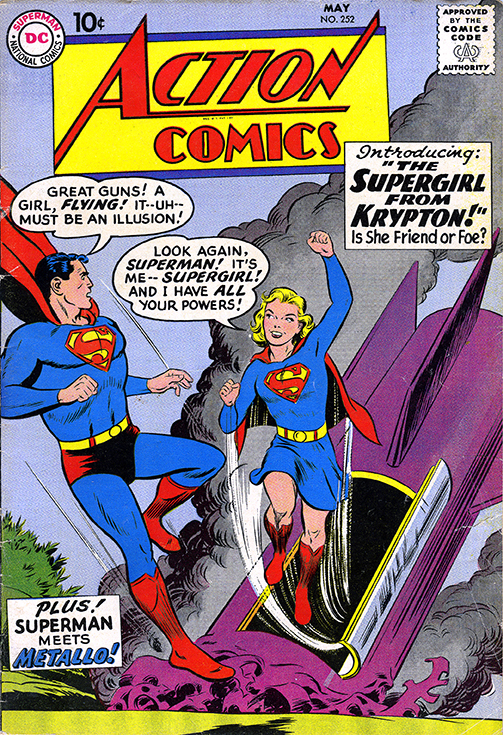 At the same time, Weisinger was giving Superman his own sci-fi makeover, utilizing top science-fiction writers he had worked with years before to expand Superman’s universe to include a family of super men, super women, and super pets—and enough offshoot titles (Lois Lane, Jimmy Olsen) to make Weisinger the majordomo of DC Comics. His flagship line (along with the George Reeves TV series, which he also oversaw) gave the Baby Boom generation its Superman. It’s a type of super-Americana that’s held, to this day, as strongly in hearts and minds as Norman Rockwell’s. DC exec Irwin Donenfeld must be counted as influential and instrumental to DC’s Silver Age success because of three major decisions made during his key tenure (1958-68): First, he rescued Batman from possible cancellation in 1964—due to the downward slide the character’s titles had suffered the previous decade—by taking editor Schwartz and artist Carmine Infantino off of their science-fiction hero Adam Strange and putting them in charge of reversing Batman’s plummet. They succeeded with their “New Look” in ’64, which ended up helping to pave the way for the runaway success of the TV series two years later. 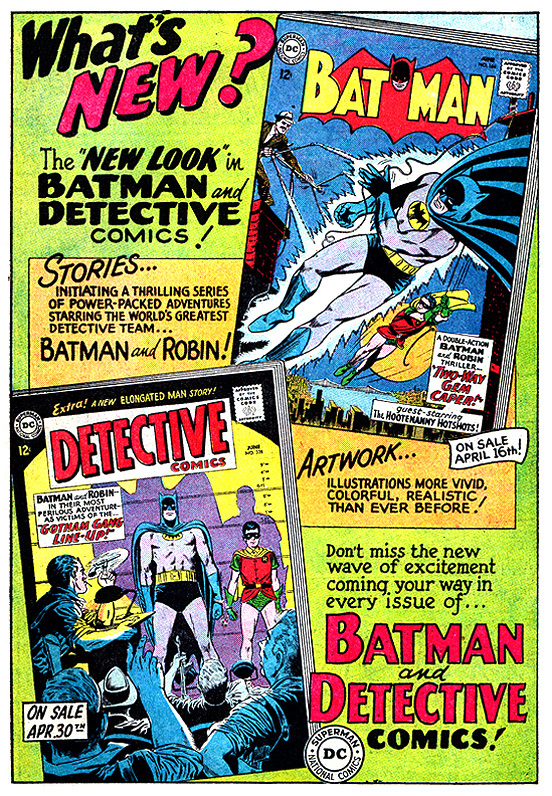 Donenfeld’s second great decision was promoting artist Infantino to art director of DC’s entire line in late 1967 (and eventually publisher in ’68); Donenfeld, a big believer in the comic-book cover as the #1 factor in sales, had noted Infantino’s covers for The Flash and Batman were outselling all others in DC’s line, so he made the bold move to elevate an artist to an executive position—unheard of, at the time, for a comic book company (and industry) that had only ever promoted editors and writers to such stations. Infantino’s tenure (1967-76) would prove to be controversial, but there is no denying that he brought a new verve and vitality to the company during the last years of the Silver Age, and in its transition to the 1970s, gave DC its only effective bulwark against the rising tide of former underdog Marvel Comics. Donenfeld’s third-greatest decision? Why, coming up with the idea for DC’s Go-Go Checks, of course! NEXT — PART 4. From Kirby & Lee to Pekar. Click here.